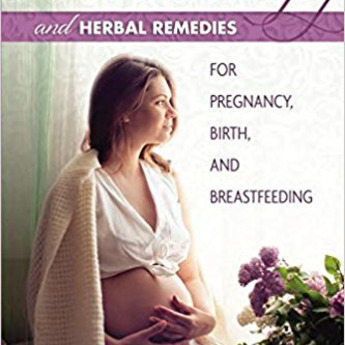 Herbal treatments and aromatherapy are valuable, time-proven, natural approaches to a healthy and more comfortable pregnancy and birth as well as a successful breastfeeding experience. Herbalist, instructor, and midwife Demetria Clark explains everything a woman needs to know about using herbs and essential oils during this important time of life. Demetria explains which specific essential oils can help with particular physical and emotional challenges that commonly affect women during pregnancy and birth. She also explains how essential oils are made and their various purposes and applications, including infusions, topical preparations, and air dispersal via sprays and diffusers. Readers will find practical tips on how to purchase essential oils and use them safely, along with a list of essential oils to avoid during pregnancy and postpartum.A reference section covers both common herbs and those typically familiar only to herbal practitioners.Descriptions include which conditions an herb is best suited for and when that herb should not be used.Demetria provides the botanical name of each herb so it can be identified regardless of the common name it's sold under. In addition, she offers basic information on how to make herbal remedies at home and how to grow, gather, and prepare herbs from fresh plants.